Leaving A Mark Photography is officially ONE YEAR old! This first year has been a crazy and wild ride filled with challenges, encouragement, surprises, mistakes, and milestones. I have learned so much about myself, about photography, and about running my own business, but mostly I have learned that I still have SO much more to learn. There are times where I catch myself trying to speed up the process, but growth takes time and I am learning to be patient with myself. I’ve had days when I started questioning everything and uncertainty creeps in. In those moments my husband is quick to remind me that, “if it was easy then everyone would do it”. Thankfully, I’ve experienced many positive moments that continually remind me that I am exactly where I should be. Building your own business is a process and if I had waited until I was truly “ready” to start a business then I would probably still be waiting. I’m so thankful for this first year…for progress, growth, and grace. My business and photography is evolving and my passion is stronger than ever. I’m excited for year #2. New goals are set and I am ready for the challenge. Thank you to everyone who has supported me this first year, from liking and commenting on my images through Facebook + Instagram, to reading my blog, to booking a session, and to those that offered advice and shared ideas – all of you are a huge blessing and I can’t thank you enough for being an integral part of this first year! 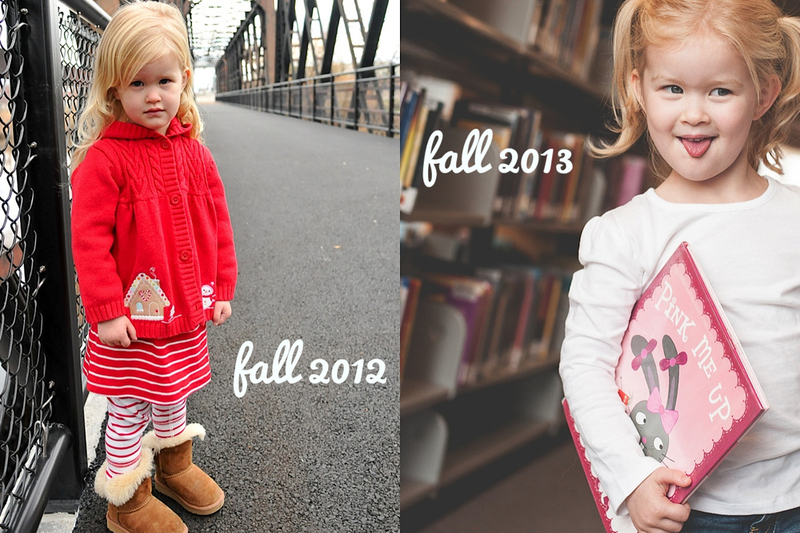 A little something to illustrate growth + progress...little Miss Mia photographed 2 months before I started my business and then again almost a year later.